Fitbit Charge 2 floral bands are great for women and girls, personalize your Fitbit charge 2 with this stylish/ elegant strap. 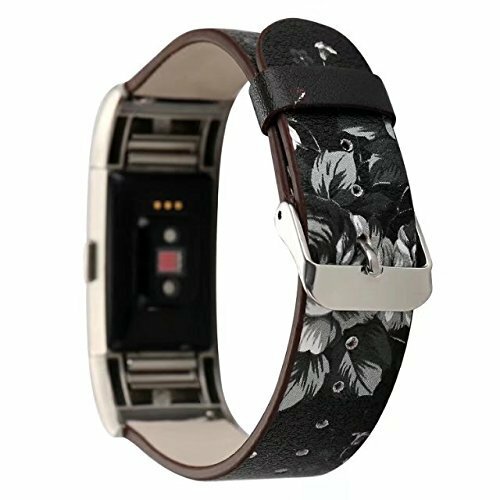 Beautiful floral print Replacement bands For your Fitbit Charge 2. Soft PU leather, durable and comfortable to wear. Personalize your Fitbit Charge 2 with this stylish/ elegant strap. Great gift for women and girls. Premium metal connectors seamless fit with the device as original, easy to install and remove. If you have any questions about this product by Conelelife, contact us by completing and submitting the form below. If you are looking for a specif part number, please include it with your message.